Peel skin and boil the sweet potatoes till soft. Mash it lightly. Heat oil and add mustard seeds, bengalgram dal and blackgram dal. When it splutters, add asafoetida and then add turmeric powder. Immediately add sweet potatoes. Add salt and mix everything well. Cook for 2 mins. Serve as side dish for rice. WYF: Light Meal event ends tommorrow..Pls rush in your entries ..
Heat oil in kadai, add cloves, cardamom, cinnamon, cumin seeds and fry for 2 min. Then add onions and fry until it becomes golden brown. Add tomatoes and fry till it is cooked. Add coriander seeds powder, garam masala, red chilli paste, red chilli powder, salt, water and cook for 2 min. Then add cashew nut paste, paneer, tomato sauce and cook for 5-10 mins. Tastes good with chappati, paratha and kulcha. Soak the dals and rice together for 3 hours minimum. Grind it to a coarse paste with red chillies adding a little water. Heat 2-3 tbsp oil and add curry leaves and asafoetida. Add it to the batter. Add salt, finely chopped coriander leaves and mix well. Heat oil and when hot, pour in a big spoon full of the batter in the oil. Repeat for more vadas. Fry till golden brown and crisp on both sides. Budding blogger series introduces new bloggers (those blogging from Jan '09) every wednesday and promotes their blogs through Simple Indian Food. If you are interested in being a part of this series, please mail me a short description about your blog, the cuisine you specialize and your objective in blogging to easycrafts@gmail.com. 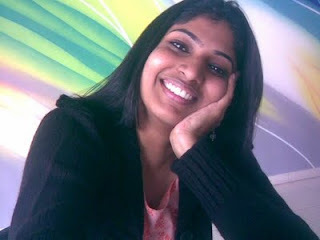 This week's featured budding blogger is Pooja of Pooja's Kitchen. Simple dishes with a homely touch is what Pooja's kitchen is all about. The blog is still in infancy stage and as i have quite a collection of my mother's recipes and the ones which i have learned and improvised, Iim working on to improve the quality and the content of the blog. Being a north-indian by birth, my specialty is north indian cuisine, though Im curious to learn different cuisines and have successfully tried my hands at south indian, marwari, maharshtrian and some continental stuff. Through my blog I strive to share with everyone my tried and tested recipes, and in return, to learn from fellow bloggers about recipes and suggestions they have to offer. I look forward to contribute to my best capabilities. Heat butter/oil and add cumin seeds. When it splutters, add chopped onion and fry for 2 mins. Add onion puree and tomato puree and cook for 2-3 minutes. Add turmeric powder, red chilli powder, garam masala powder, coriander-cumin powder, salt and water as required for gravy. Allow it to boil well. Finally add the cooked kidney beans and let the gravy get a bit thick. Garnish with finely chopped coriander leaves and serve hot with pulkhas/pooris/pulav. Try these crispy pakodas for your guests and family who dont like or eat onions. Mix all the ingredients except oil. Sprinkle little water to get it as a big lump. Heat oil and put in small uneven pieces of the mixture. Fry till golden brown and crisp. 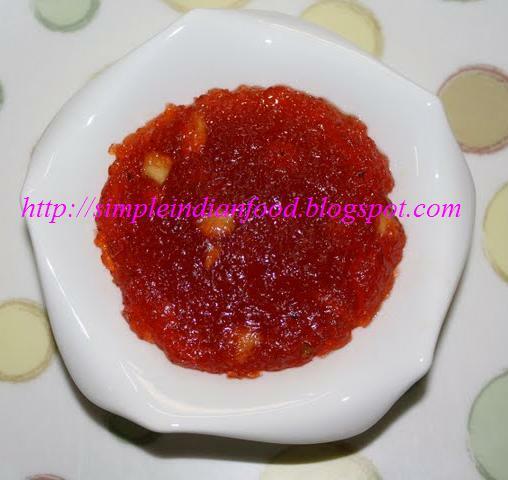 Serve hot with sweet chutney or any other chutney of your choice. This week's featured Super blogger is Aparna from My Diverse Kitchen. With a recipe count nearing 300, her blog specialises in Palakkad style dishes and baking. She is also a part of the Daring Bakers ..Browse through her Menu card with pictures representing the categories for a wide variety of vegetarian cooking options..
Aparna: I am Aparna, a full time mom to our 13 year old daughter, and live in Goa. I blog at My Diverse Kitchen. I started my blog about 2 years back as a place to put together and share recipes from my traditional Palakkad Iyer cuisine, as well as all other vegetarian food I cook and experiment with in my kitchen. I also enjoy baking, especially bread. e I tend to feature a lot of my regular cooking on my blog, I do sometimes cook specifically for my blog (we love to eat good food so that doesn't matter!). My other hobbies include reading, music, doing creative craft, gardening, and travelling whenever we can. Aparna: I started blogging mainly because my daughter and husband thought I should, and I'm happy I was persuaded by them because it has opened the whole world to me in many ways. As for the fisrt food blogs that made an impression on me, Nandita's Saffron Trail, Sunita's World, Suganya's Tasty Palettes and Meeta's What's For Lunch Honey? are a few that come to mind immediately. EC: How do you think blogging has changed your life and perspective? Aparna: Oh yes, blogging has changed my (and ours, I should say)l life! We have always been adventurous with our eating (so long as its vegetarian), so soup, bread or pasta make it to our table as often as rice and sambhar does. But blogging has stretched my cooking experience much farther and helped me discover more about cuisines, recipes and techniques. It also means that my husband and daughter have resigned themselves to having food photographed before they can eat!! Blogging now means that the camera has now moved into my kitchen and dining room, and is as important as my food processor!!! EC: Can you share some tips on food photography and popularising blogs. One way to do this is adding one's blog to various food sites and blogrolls. Then it is important to visit other blogs and leave comments to let others know about you. But if you just go and mindlessly leave comments on blogs just to drive traffic, you could endup losing traffic! I think the most important way to attract people to your blog and have them coming back again and again is by writing and presenting your material (whether food writing, recipes, etc) well. I am not an expert in this matter, but I think everyone knows how much difference a good food picture makes to a post. Of course, good cooks needn't be good photographers and vice versa but it certainly helps. To take good pictures, read your camera manual (you don't need an dSLR to take good pictures) thoroughly and practise with the camera. Read as much as you can about taking pictures, and understand light, exposure and taking food shots. Aparna: You don't need much technical knowledge to blog successfully as the free blo hosting platforms like Blogger and Wordpress are designed for people like us. If you do have some technical knowledge, it helps if you want to change the design of your site. I have absolutely no knowledge of HTML and CSS, but reading up and understanding tutorials on how to copy code, insert it in my blog HTML and tweak it a little has helped me change my blog design to what it is today. I'm still working on the design of my blog. EC: Have you been affected by plagiarism..Your views and how can we fight it ? Aparna: I was going to say no, I haven't been affected so far. Then, yesterday I discovered that the Times Of India has stolen (how else do you describe taking something without permission), slightly altered and published one of my pictures (along with a fellow blogger's picture) in their newspaper. How do I fight it? I have no idea but I am going to do something about it. Aparna: This is a tough question. How do I choose? Make a soft dough of the flour, potatoes and salt. Let it stay covered for 1/2 hour. Make balls and roll them into thick parathas. Cook on hot tava with oil/ghee till brown spots appear on both sides. Serve hot with spicy side dish. Make a slightly loose dough of the flours, salt, thymol seeds and palak puree. Put it in the sev press machine and press directly in hot oil. Fry till the sev is cooked and starts changing colour. Pumpkin/Ashgourd/Kashi halwa was this year's Diwali special at my sil's house..She sent in this pic to share on the blog. Peel the skin of the pumpkin and grate it. Squeeze out the excesswater from the pumpkin. Heat half the ghee and fry the grated pumpkin for 5-7 minutes. Add milk and a little water and allow the pumpkin to cook well. Add sugar, remaining ghee, cardamom powder and the food colour. Mix well and cook till it starts leaving the sides of the vessel. Garnish with roasted cashews. The featured blogger this week is SE of Denu foods (Delicious & Nutritious Food Recipes). Simple template with nutritious food recipes- thats Denu for you..
Denufood - Delicious & Nutritious Food, Recipes from our kitchen features the flavors of regional Indian cuisine along with some of the international cuisines. Come share and enjoy some of the Vegan, Vegetarian, Seafood, Non-vegetarian & Quick, simple ,Easy recipes blended with herbs and spices ! Blogging Reason: First and foremost I would like to thank EC for giving the opportunity to be featured on the Budding Blogger because there was nothing budding about it (rather it was still germinating !! my blog was not even a month old. )I have been cooking or was rather interested in cooking since i was a kid, but one thing that I missed was the measurements. Everyday dish used to be different because I have been used to cooking with whatever I can lay my hands on in the kitchen. Because there will be at times so much of experimentation going on that recreating the dish becomes impossible. So to have to recreate the dish, I started to blog where I can maintain my diary of recipe details and some memories associated with the recipe! Mix all the dry ingredients first and then add water and beaten curd. Mix well and let it stayed covered for 15-20 minutes. Grease the tava with oil/ghee and pour a ladle full of batter and spread it into a thick pancake. Add a little more oil/ghee around the corners. When the bottom side is cooked and browned, turn over and cook on the other side as well. Cook the dal with little water till soft. It must not be mushy. Heat oil, add mustard seeds. When it splutters, add red chillies, bengalgram dal, blackgram dal and curry leaves. After a minute, add the cooked dal, salt and mix well. Finally add the grated coconut and mix well. 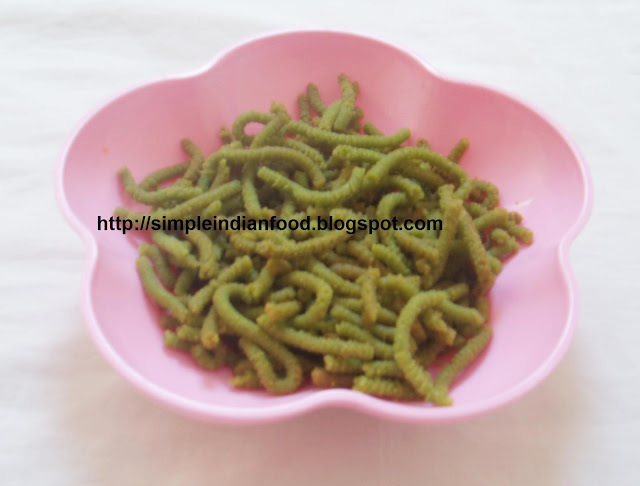 Can be had as an evening snack and is another option for sundal during navratris. Lubna Karim of Yummy Food blog is our Super blogger this sunday. 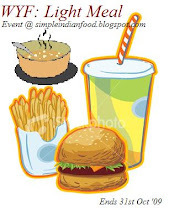 Anyone will get easily hooked to her blog for the simplicity and clear presentation of recipes with attractive pictures. She shares the honours of the very popular and unique event "Joy from Fasting to Feasting" with Yasmeen of Healthnut blog..
Lubna : I love cooking and I totally enjoy trying out new recipes. My food blog, Kitchen flavours which is 15 months old showcases many Indian flavours with lots of love to make the food yummy. Love is the main ingredient in my recipes. Apart from cooking I love flower photography, reading friction novels, writing poetry, painting and stitching. You can see some of them here. EC : Who and what inspired you to start food blogging ?? Lubna : It was a sudden decision to start a food blog. No prior intention, just like that I started this blog or either you can say to kill the deadly time. But now I just can't imagine anything other than my food blog. EC : How do you think blogging has changed your life ? Also tell us something about the Ramadan event. Lubna : As it is said 'an empty mind is a devil's house', so after I started blogging, my mind is never empty to think of anything else other than blogging. Mover over I got so many friends who share same passion and be with me in all the good and bad times. Isn't it great? Coming to Ramadan Event, which was an combo idea of me and Yasmeeen, to connect and collect recipes and to share and taste the glory of Ramadan globally. I just completed season-II of Ramadan event which is popular as Joy From Fasting To Feasting. It was real fun to know what the other part of the world feast on and how they celebrate fasting and EID. You can have a look at both season-I and season-II celebrations here and here. Lubna : Thank you for the compliments. I am still a learner in this field of food photography. First thing to bear in mind while you start with photography is to know about your camera. I strongly suggest you to go through the manual coming with your camera and if there is any CD attached with it, run it and know more about it. For terms or words which you are not familiar with search them in wiki. Knowing camera thoroughly is the first and big step in photography, rest and all will come with time. More on this is going to come in my new blog which will be dedicated to food photography and blogging queries. EC : Can you give some tips for new bloggers to make their blogs popular ?? Lubna : Be active in social networking sites like face book, orkut and twitter. Update about your blog post there and keep your blog, blog friendly with search box, menu list and clean, neat and appealing background. Lubna : Potato is my all time favouite vegetable and I love using it in combo with lot more vegetables and one such recipe is Aloo Methi Ki Sabzi. You can have a look at the recipe here. Thank you so much EC for giving me this opportunity. I am honoured. Here is my spread of sweets and savouries for Deepavali this year..I made Rava ladoo, Rice payasam and Gulab Jamun for sweets and Palak Sev, Manakombu and Thavalai vadai..Palak sev and Thavalai vadai recipes to follow soon.. Mix all the ingredients well. Now heat it in a non stick vessel and keep stirring on low heat for some time till it becomes a big lump and starts leaving the sides of the vessel. Transfer it to a greased plate and allow it to cool for some time. When it becomes semi-solid, cut with a greased knife to desired shaped pieces. Wishing everyone a Happy and Prosperous Deepavali..
Heat 2 tbsp ghee and fry the flour till nice aroma comes..approx 3-4 mins. Add 2 cups of water and keep stirring to avoid lumps. Then add sugar and keep stirring well. Start adding ghee little by little and keep mixing well. When the mixture becomes one big lump and starts leaving the sides of the vessels, add cardamom powder and transfer to serving bowls. This halwa gets thick after some time, so you can even transfer to a greased plate and cut into pieces later. Garnish with nuts. Heat oil, add cumin seeds. When it begins to splutter, add curry leaves and asafoetida. Then add chopped onions and fry for 2 mins. Add ginger paste, tomatoes and cook for 2-3 mins. Now add turmeric powder, garam masala powder, coriander seeds-cumin seeds powder, tamarind paste, jaggery and salt. Mix well and add some water to get gravy. Add chopped potatoes and cooked black eyed pea. Mix well and cook for some time till the masala gets mixed well with the potatoes and black eyed pea. This week's featured blogger is Malar of Malar's Cuisine. Simple to follow step by step directions for the recipe are the highlights of her blog. This blog is about my interest in cooking.I am new to cook and now I spend lot of my time for cooking to know new recipes. I have tried various Indian recipes.I want to share all of them with my parents since they are in India. They dont know whether i am cooking well or not(Even i didnt go to kitchen for cooking at my home in India :) After coming to US only i am started to cook.So they scared about me). .
My anna who is also in US gave me an idea of creating a blog which is easy to share with my parents. I will post in this blog recipes that I have tried & tested including tips & ways to improvise. This recipe is adapted from Nita Mehta's Oats breakfast recipes book with minor changes. Mix all the ingredients except oil. Spread 1 tsp oil in a tava and heat it. Take it off the fire and spread the batter gently to get a pancake. Now heat it and add little more oil. Cook till it gets brown and then slowly turn it and cook on the second side. Repeat for rest of the batter. Serve hot with chutney/ tomato sauce. Make a puree of the tomatoes without adding any water. To this add the milk cream, pepper powder, green chillies, turmeric,red chilli powder,coriander leaves & salt. Heat oil in a kadai. Mix well and then dip one slice of bread at a time in the batter & fry till golden brownon medium flame. Serve hot with tomato ketchup. Finally I would like to thank the EasyCraft blog spot for giving me an opportunity to forward my recipes. Once again I hope that you all will enjoy these easy and healthy recipes. Views and suggestions are always invited to make the recipes more tastier & more innovative. This sunday on Super blogger series, we have Nags of Edible Garden.. Apart from a neat, organised and uncluttered blog "Edible Garden", Nags also has come up with an interesting Recipe diary and Food photography lessons for beginners. EC: Tell us something about yourself and and what inspired you to start food blogging? Nags: In my school, we had biweekly sessions called SUPW or Socially Useful and Productive Work, where were learnt cooking, baking, stitching, knitting, gardening, etc. I realised when I was 10 that I loved baking. I used to make omelettes when I was 7 and baked my first cake when I was 10. Even then, I wouldn't have thought of food blogging until I came across some blogs like Shaheen's Malabar Spices and Meeta's WFLH. EC: You started off with a blog and moved to your own domain. How has that changed your blogging experience ?? Nags: Nothing has changed. I saw that the domain was available for 10 USD so I bought it. In fact my husband bought it for me. I know there's so much more I can do with my own domain but I still use the blogger interface and continue just like I did before the move. EC: How did you come up with the name "Edible Garden" and how important is it in the success of the blog ?? Nags: The name just occurred to me one fine day (that's how most things happen to me) and it stuck till I made it the name of my blog. It was called 'For The Cook In Me' for a long time till I changed the name in July '08. A lot of people I met earlier still link to me as For The Cook In Me and that's fine. I don't think the name has brought in much success in relative terms but I like it. EC: Your series on food photography was amazing..Tell us something about it. Nags: I am a self-taught photographer. There is not a single that passes without me wanting to be better at taking pics. In fact, for some posts, I focus more on the pictures than I do on the recipe. I read a lot online and offline about macro and food photography. I downloaded and printed out massive number of documents. It was painful and I had a slow learning curve. That's when I thought sharing all of this in easy instalments would be a good idea. I am working on some more posts after a small break in that section. You can read the articles here. EC: How important is technical knowledge for blogging ? Nags: Knowledge when you start off is irrelevant. The most important thing is passion and interest. I didn't know how to create a hyperlink when I started blogging. Why, I didn't even know what a blog was 5 years back. EC: How did you come up with Recipe diary concept that helps many decide on what to cook with the ingredients in hand. Nags: I wanted to always do something extra that's related to food. With a full time job and two active blogs, I spend a lot of time online. So the natural extension seemed to be to create another site. This time, I got a friend's company to do the site creation for me. Basically, I wanted to fine tune a search algorithm where people can enter names of ingredients they have and get corresponding recipes. I am still working on that site - its more expensive and time-consuming than I expected. EC: Any tips for new bloggers to make their blogs popular ?? Nags: Content, content, content. All else will follow. Trust yourself (and me :D). Nags: I only favourites on the site. What I like, what I would serve you if you visited. All the flops and the bad ones are left behind firmly closed doors and don't see the light of day in my site. So here is the link to my Recipe Index. Enjoy! Wash the sprouts well and cook them in 1 & 1/2 cup salted water only for 2-3 mins. Drain the water and set aside. Whisk the yogurt and set it to chill for just 30 mins. Meantime to prepare the chaat arrange the bhakarwadis in a large plate, top it with alternate layers of moong sprouts, potatoes,onions, tomatoes & chilled yogurt. Drizzle the green chutney, sweet chutney & the lemon juice. Sprinkle the chaat masala, red chilli powder, cumin powder & nylon sev. Take besan in a bowl. Add salt, 1/2 tsp chaat masala, red chilli powder, ajwain or jeera, turmeric powder, crushed green chillies, 1/2 the coriander leaves, onion & yogurt and mix well. Now take the sprouted moong in a bowl. Add the tomatoes, capsicum, a pinch of salt, lemon juice and the remaining coriander leaves & chaat masala and mix well. Now heat a tawa put some oil in it. Pour the batter and spread it aroud as we do for normal dosa. Flip over and cook on the other side too. Now place the stuffing on one side & fold the other side over the filling. Tasty filled besan omlet is ready to be served hot with coriander chutney or with tomato ketchup. OPTIONAL : To add a cup of peas; finely chopped carrot and onion. Heat 1 tsp ghee in a pan and roast rava till golden brown. Keep aside. Now roast vermicelli in another tsp ghee till golden brown. Allow it to cool a little. Take a wide mouth bowl. Put the roasted rava and vermicelli in it and add the curd and salt. Mix well and leave it undisturbed for 30 mins. Add more curd if the batter becomes dry or very thick. Heat a kadai and add 2 tsp oil for tempering. Add mustard seeds, udad dal. When the seeds splutter add curry leaves, green chillies, hing, broken cashews and raisins and saute a little. Now if you are adding the OPTIONAL items you can add it in the same kadai and saute for a minute. 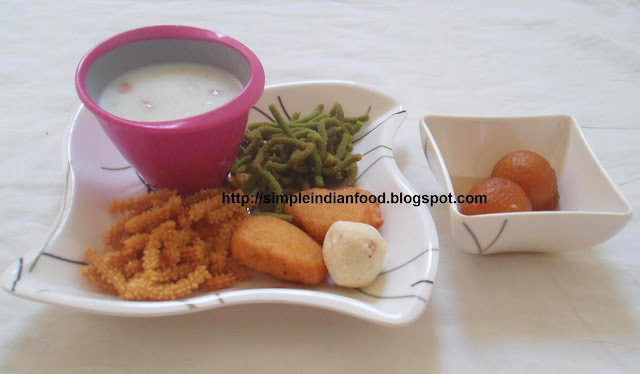 Take off the kadai from the stove and add all these items in the batter. Add baking soda and coriander leaves and mix well. 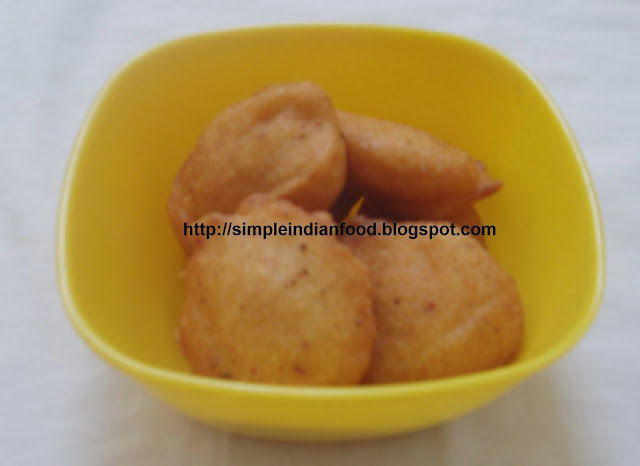 Now grease the idli stand with oil and pour this batter in idli moulds and steam for 10-15 minutes as we do for normal idlis. Remove the idli from the idli moulds after 5 minutes. Tasty Rava Vermicilli idli is ready to be served hot with sambhar or any chutney of your choice. Kanchan from Kitchen Gossip is the featured blogger today. Step by step pictures and a small introduction before each recipe are the key attractions of this blog. I - An amateur non vegetarian cook married this awesome pure vegetarian cook (whom I fondly refer as The Foodie in my blog). Me Marathi – He Marwari – This total diversified food culture added more confusion in our kitchen. So the known fact of The Foodie being better than me in Kitchen sparked a competitive urge in me to try out various stuffs in Kitchen. This made me Google for recipes and during this course was introduced to this varied but huge Food Blogging world. This made me go through too many recipes to asking Mom over and over again… so just wanted a small corner of my own where I can jot down these experiences. Hence Personal Tadka or Kitchen Gossip was born. My Blog might not be a recipe or cookbook blog but Scribbling of my experiments in Kitchen!! Blogging changes the way you cook as the events inspire you to try out stuffs which normally you wouldn’t have tried. So you might not find specific cuisine here but might revolve more towards Marathi to Marwari food stuffs. Hence loving this new passion of sharing the experiences! 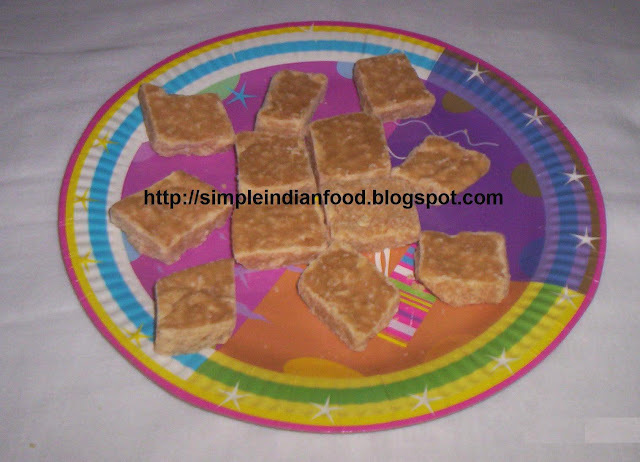 Make a very thin batter of sattu, rava, salt and green chilli. It should be very thin like for rava dosa. Heat tava and sprinkle the thin batter with hands to make a dosa. Spread a little oil and cook till crisp and done. Serve hot with spicy chutney/sambar. Heat oil, add cumin seeds. When it splutters, add onion paste and cook for 2 mins. Add ginger paste, tomato paste, turmeric powder, garam masala powder, red chilli powder, cumin seeds-coriander seeds powder and salt. Cook for 2-3 mins. Add the cooked vegetables and cook for 2 more mins. Add cream and mix well. Garnish with coriander leaves. This week on Super blogger Sunday we have Meera from Enjoy Indian food sharing her experiences on blogging. From a very innovative start of having a family cookbook complete with pictures and recipes as a word document to a recipe blog that shares many traditional, regional and healthy recipes, Meera has been really creative in her efforts and must be truly appreciated. Meera: Hello, My name is Meera. I live in the United States. I am an engineer by profession. I have a 5 year old daughter. I have two cooking blogs - Enjoy Indian Food and Enjoy World Food. I will complete 2 years of blogging next month. I was fond of cooking from my childhood and collected tons of recipes. I used to tear off the blank papers from the old notebooks and scribble the recipes from family, friends and TV shows. After coming here, as I was craving for my mom's food, I decided to create my own family cookbook using microsoft word. I had also created an EXCEL spreadsheet with columns of veggies/beans/lentils, under each, I wrote how many different ways that ingredient can be cooked!! It was just my hobby. and this was before I discovered food-blogging. EC: How were you inspired to start a food blog ?? Meera: As I mentioned, I had just too many clippings, notes, scribbles, papers and one fine day, I decided to get rid of them to control the clutter around the house. My husband, suggested to start blogging, instead of throwing everything away. That's when I thought of blogging. Just a few months earlier,I had discovered Nupur's One Hot Stove while searching for a recipe. It was inspirational. Thus, I thought of creating my own blog. EC: Do you cook specially for the blog? Meera: Yes. There are so many events that go on around the blogsphere. If I know that a certain event is going on and if I have time, I certainly cook something special for that event. 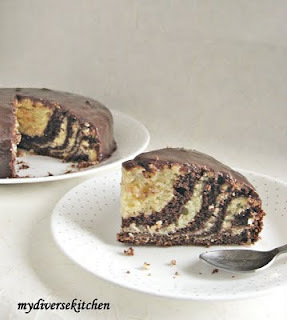 Many times, some traditional recipes come to my mind and make me nostalgic and I feel they need to show up on my blog. I almost fear that they soon will become extinct. So I cook those recipes - which probably I wouldn't have otherwise. EC: You have tried various cuisines from different states of India..You have an amazing collection of traditional recipes too.. what are your recipe sources ?? I am from Mumbai - one of the cosmopolitan cities of India. As a result, I have friends from all over India. That's how I have tasted several regional cuisines of India. Also, the recipe booklets that accompany mixers/pressure cookers are a good source of regional Indian cuisine. I try from there too. For the traditional recipes - my own family encompasses Maharashtra, South Canara & Gujarat. We have family deities in Goa. So I learnt all the traditional recipes from all these regions from my grandmothers, mom, aunts, in-laws. As my family cooked their traditional food, they always embraced new cuisines with enthusiasm. As a result, I think, our food horizon got widened from the early childhood!I think when you eat/cook food from different parts of the world, you start respecting the whole world. I want my daughter to taste the food from different parts of India as well as world, thus feeling connected to India and the whole world. Meera: I was always aware of the fact that Indian cuisine has a variety. but just looking around the blogosphere, what each blogger brings to the table, it's simply mindblowing. I never knew it before. I am still learning this and realize what I know is just a tiny drop in the ocean. Give one simple vegetable to cooks from different states of India and each cook will be able to produce at least a handful and unique recipes using that one basic vegetable. I find it very amazing. I also discovered new tastes, new oils, new spices, new techniques. I know it's impossible to master the entire gamut, but it's fun learning it. Mostly, my readers have informed me about the copied recipes, photos or sometimes even the introductions to the recipe. It's just beyond me why someone would copy the work and pass it on as their own? I mean, what's the fun in that? Why not explore their own family recipes? I do understand that the traditional recipes are similar but how can one copy word to word including photos? I generally send the email or leave comments to the bloggers doing it. I was shocked to see my picture staring at me from the wellknown food sources, advertisements etc. But sometimes, I just don't know what to do when dealing with these bigwigs. I think we all should join our hands together to fight against plagiriasm. EC: You have been posting almost daily since the time you started your blog..How do you manage this ? Meera: When I started blogging, I hadn't decided that I will write almost daily. But as my blog started shaping up, I discovered that as I write that simple, humble recipe, i get a feeling of a bliss. It's that feeling of emotional well being. Since I am away from home and country, I feel deeply connected to my roots as I explore a recipe, upload a photo and scribble about it. Cooking for me is a stress reliever and not a chore. I really enjoy this process. Made these plain rotis with leftover urad dal poori dough. The rotis were very soft because of the blackgram dal. Thanks all of you for participating in the event with your favourite festival food..